A compilation of techno, trance, industrial and disco featuring some of the hottest acts of Amusicom. Check out the trance rhythms of Mandu, the dance fever of Disco Dan, the industrial soundscapes of The Pods. 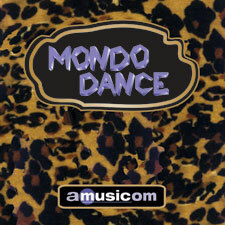 Mondo Dance presents a cornucopia of sounds currently spinning on the turntables at the hottest clubs. Dim the lights and mix it up!